Union Bank of India is one of the largest government-owned banks of India; the government owns over 90% of its share capital. It is listed on the Forbes 2000, and has assets of USD 13.45 billion. UBI has around 4,300 branches. Four of these are overseas in Hong Kong, Dubai, Antwerp, and Sydney. Applicants who have completed 10th or equivalent from a recognized Institute for Union Bank of India Recruitment 2019. 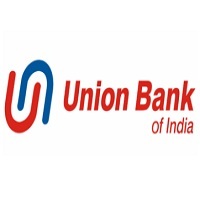 Eligible & Interested candidates can apply via online in Official website page in www.unionbankofindia.co.in Union Bank of India Recruitment 2019. Complete the Union Bank of India Jobs Application Form with the essential data. Take a print out of Union Bank of India Recruitment 2019 online application form.